As you can probably tell from this post and this post, I've had toques on the brain both literally and figuratively. The snowfall in Vancouver this week has only intensified my desire for a new one to alternate with my gray flowered one. After all, to my Canadian girl mind, you just can't beat a toque (or a "beanie" as it's called in the US) when winter rolls around: It's warm and practical, great for a bad hair day, and unlike other hats, it stays put no matter how windy it is. Plus, you don't have to worry about irrevocable damage if you sit on your hat by accident. But who knew finding a toque that was sleek, chic, and interesting-looking would be so tough? I'm not a fan of rib knits or cable knits because of their sheer ubiquitousness, and even popcorn knits have lost their appeal for me because I've seen them one too many times since spotting Blair Waldorf's tam. Pompoms could look cute or horribly juvenile (most likely the latter on me since I already look a tad younger than my age). I'm not a fan of the newsboy knit caps with the little brims--a bit too casual to pair with wool coats. Crochet is okay as long as there aren't too many little gaps and holes in the pattern. And as much as I like flowers and blossoms on hats, I already have a toque with a flower and I'm not too keen on buying another. My extreme pickiness didn't leave me with a lot of options. Regardless, after several hours of Internet research, I did find a few that were appealing. Maybe I'll have better luck once I begin pounding the pavement on Boxing Day. Eugenia Kim 'Colleen' cable-knit cap (Shopbop), $188. I know I'd said no cable knits, but the extra chunky braid detail on the edge elevates this toque above standard cable-knit fare. At that price, though, this one seems like it's strictly a "Look and drool" item. 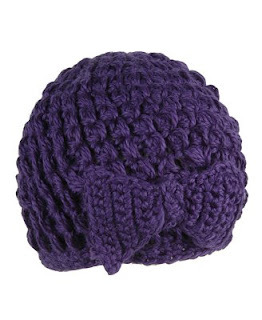 Crochet beanie with bow (Forever 21), $8.80. At the opposite end of the price spectrum is this purple beauty from F21, also available in ivory and light gray. The colour is scrumptious and the bow embellishment even more so! 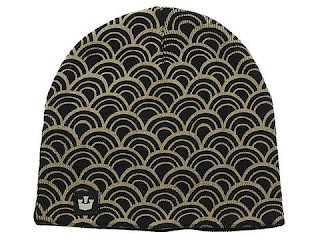 Goorin Brothers 'Fishhawk' beanie (Zappos), $41. Someone I met recently introduced me to the Goorin Brothers label in a rather serendipitous way. They do great fedoras, but I liked the look of this toque for its simplicity and sass. The fish-scale pattern is streetwise yet sleek and understated enough to pair with a polished peacoat. Pink ribbed beanie by MeandTex (Etsy), $35. 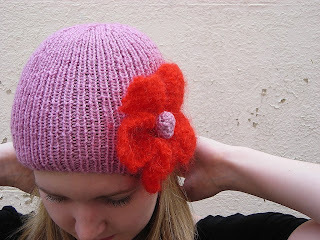 A quick search on Etsy yielded tons of hand-knit toques, many of them with floral appliques and embellishments. This one stood out from the rest because of the cheery pairing of pink and orange-red. The colours would brighten up any solid black or white winter coat. I love toques!! Didn't realize they were the beanie equivalent in canada =) Here's wishing you a very merry xmas! Love that art deco beanie! Happy holidays to you too, Lisa! I like the Fishhawk toque (I refuse to say beanie) the best, it's a little more unique and atypical to the regular cable knits.